We understand and correct the source of your pain. If you are injured, your injuries may not heal on their own, or if they do, they heal poorly with irregular scar tissue formation, joint misalignment, and abnormal spinal curves. Scar tissue can form in your muscles leaving them less flexible and prone to re-injury in the future. Get an early start with the proper treatment provided by Dr. Oliverio and his staff, and your healing recovery will be optimized. Sometimes, you may be injured and not even know it. Most individuals mistakenly believe that they will have significant pain if they have an injury. This is not always true. Damage to your vehicle can be minor and cause minimal to no pain at first, but injuries such as whiplash, may not show any symptoms for hours, days, or weeks later. After a car accident you should have an in-depth medical history and examination, along with any necessary x-rays from a physician who has experience in diagnosing and treating these injuries. The Emergency Room does a great job at detecting and treating severe injury such as fracture or dislocation. However, all too often, soft tissue injuries, like "whiplash", are left to heal on their own. Getting diagnosed early will help to establish the proper course of treatment. Chiropractic is an excellent resource for creating a care plan to help you throughout the healing process. Your treatments can include ice or heat therapy, adjustments, ultrasound, electrical muscle stimulation, therapeutic deep tissue massage, neuromuscular re-education, or rehabilitative exercises with focus on flexability and strengthening. Starting treatment as soon as possible maximizes healing and minimizes irregular scar tissue formation. A soft-tissue injury can become permanent. 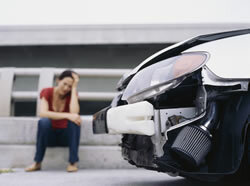 Following a car accident, your focus may be on costs. After all, your car is damaged, and you may have to pay for a new vehicle, but now healthcare too. In most cases chiropractic and therapy treatment can be completely covered, even if it’s your fault or you don’t have any health insurance. 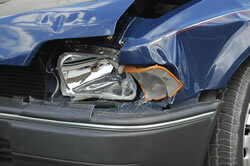 As previously stated, some injuries are hard to spot immediately following an automobile accident. Do not wait to get diagnosed until after all of the insurance claims have been closed. If you act quickly you preserve your legal rights too. Many prominent injury attorneys recommend the first thing to do after an accident is to get prompt medical treatment; otherwise your benefits may be denied or limited. If you suffer from back pain, neck pain, headaches, sciatica, joint pains, or have been in an auto collision, Neck & Back Care Center can get you back on the road to recovery. Call our office at (352) 563-5055 for an appointment today!